During the summer of 2014 the FINLANDIA Vodka team relocated to Amsterdam, the first Brown-Forman global brand team positioned outside the US. Only two of the eight on the team were moving so I needed to build an entirely new global marketing team, all while driving the business forward. Embraced Brown-Forman’s diversity goals recruiting six new team members each from a different country becoming the most diverse team at the company. Repositioned FINLANDIA Vodka – leading a group of diverse stakeholders and agency partners that completely redeveloped the brand, touching visual identity, portfolio strategy, packaging, communication, and retail activation. The new package exceeded all consumer benchmarks in primary markets and increased shelf presence and distinctiveness. Led the development of the critically acclaimed FINLANDIA Vodka 1000 Years of Wisdom omnichannel campaign, launching simultaneously in 16 countries. As the media landscape fragments and more markets restrict our ability to communicate with the consumers, packaging plays a more significant role in the marketing mix. 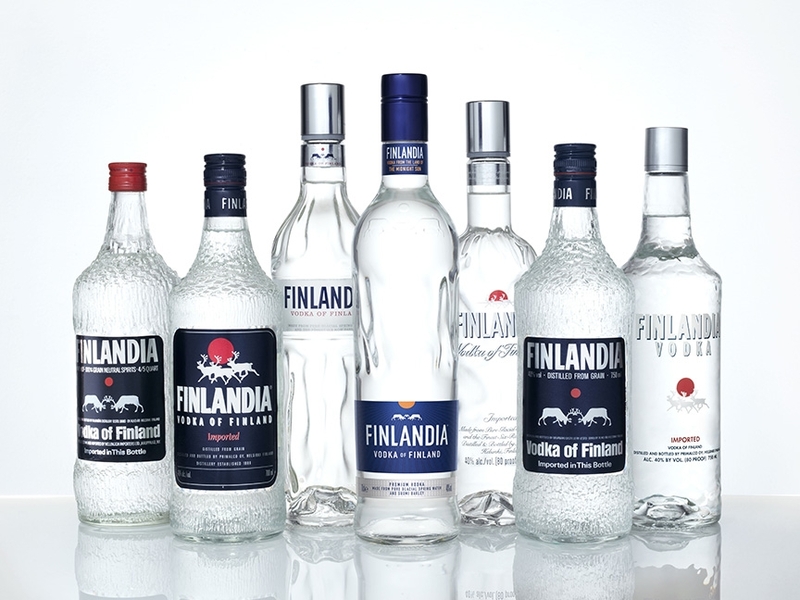 FINLANDIA Vodka was introduced in 1970 and is about to have its seventh design. Each changed was driven by a combination of aesthetic and technical needs. The objectives of this change were to increase shelf standout and increase the size of the back label to accommodate the increased demand for regulatory requirements. Vodka culture in the two most significant vodka regions was evolving. If we were to remain relevant, we needed to evolve with them. After months of work, getting to know the consumer, their beliefs and what motivates them, we uncovered a powerful insight, equally valid in Eastern Europe as it was in North America. Armed with this insight, we develop a new campaign, moving out of Finland and beyond our product story. In June 2015 we launched our boldest work to date “1000 Years of Less Ordinary” simultaneously in 16 markets.